Toronto, Ont., March 7, 2017 – Pizza Pizza announces today the launch of vegan cheese, a new dairy-free menu option that allows Canada’s growing vegan community to customize their pizzas with a cheese-like product that respects the vegan diet. The innovative ingredient is produced by Violife, a company founded by food enthusiasts who believe that cheese is all about love, family and happy memories – as well as something that every person should be able to enjoy. The North American distributor of the topping is a company owned in part by NBA champion John Salley, who met Pizza Pizza’s Pat Finelli last year during the NBA All Star Weekend. Supported by the Pizza Pizza team, the duo have been working on the launch ever since. 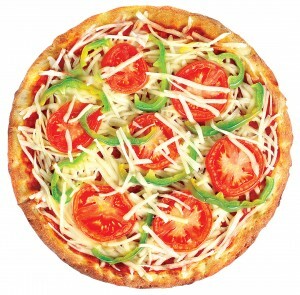 Pizza Pizza’s dairy-free vegan cheese is plant based and vegan certified. The new addition becomes Pizza Pizza’s sixth cheese option, along with classic mozzarella, four cheese blend, feta, parmesan and goat cheese. Pizza Pizza is among the first major chains to add vegan cheese to its menu and, in the short time that it has been available, has received an overwhelmingly positive response from the vegan community. Over its 50 years in operation, Pizza Pizza has been a leader in the quick service segment and continues to innovate and evolve offerings to meet consumer tastes, including the introduction of gluten free dough, chicken products raised without the use of antibiotics and the elimination of trans fats from its menu. The new offering is now available at all traditional Pizza Pizza locations. For 50 years, Pizza Pizza Limited has been guided by a vision to provide the “best food, made especially for you” with a focus on quality ingredients, customer service, continuous innovation and community involvement. 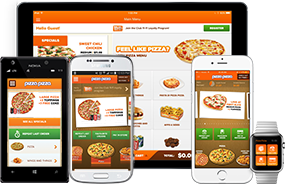 With more than 750 locations across Canada, the company is Canada’s pizza pioneer and a quick-service restaurant leader, operating two banners – Pizza Pizza and Pizza 73 – that deliver quality food choices, diverse menus and exciting promotions for all tastes, lifestyles and budgets. 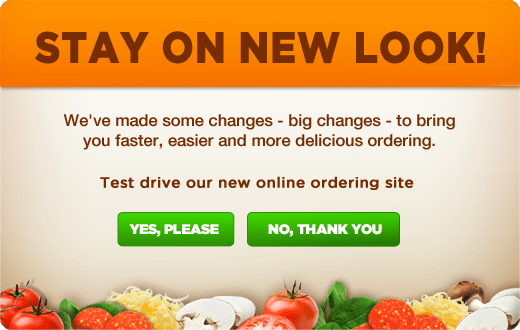 Visit www.pizzapizza.ca and www.pizza73.com for more information.